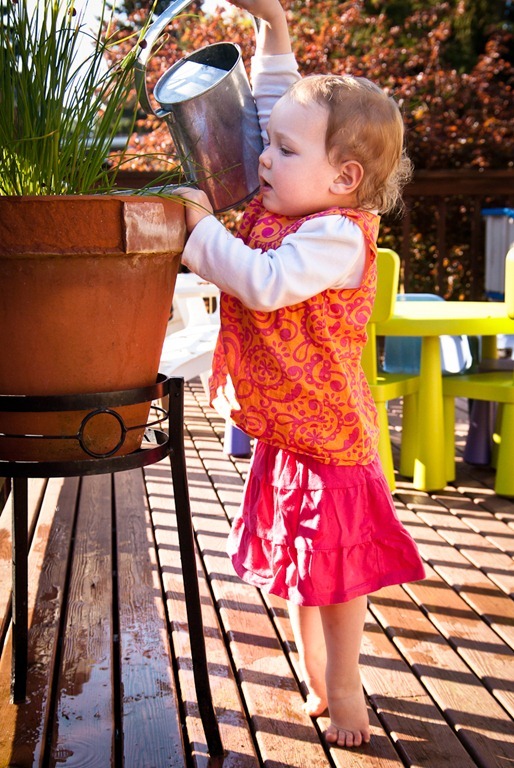 One of Molly’s new favorite activities on a warm sunny day is to water the flowers, just like her mom. 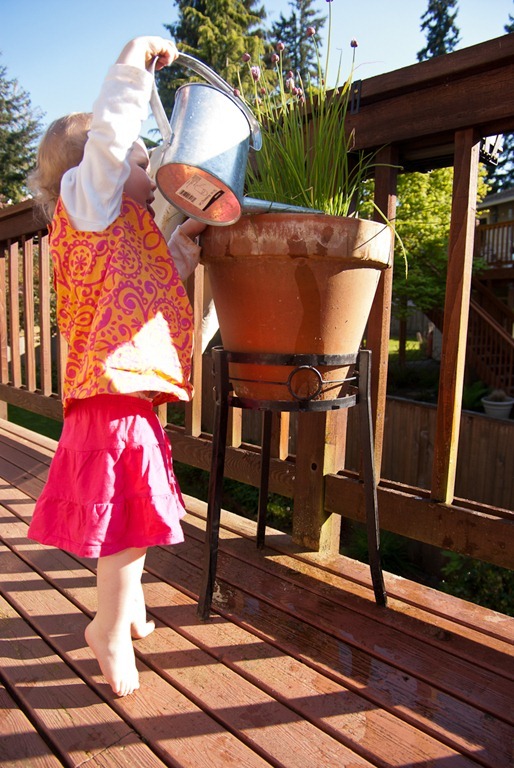 She will bring us the small, galvanized watering can and tell us she wants to water the flowers. 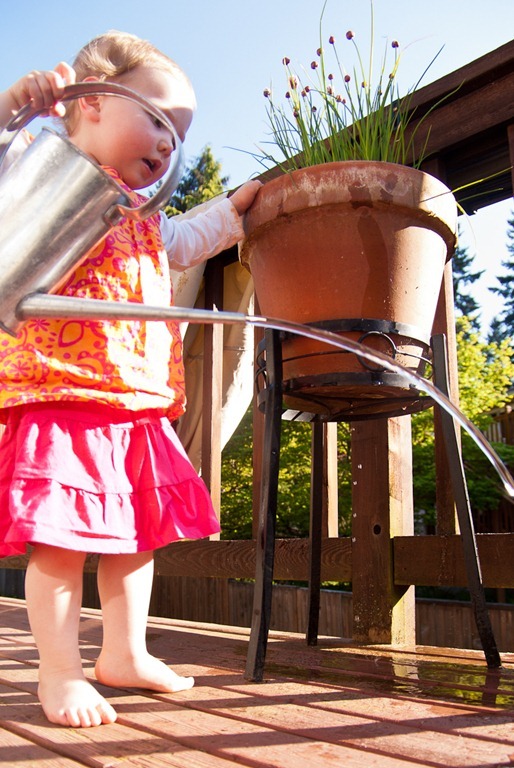 We partially fill the watering can with water and set her loose on the deck, watering the chives. It is a bit of a reach for her to get the water over the lip of the flower pot. 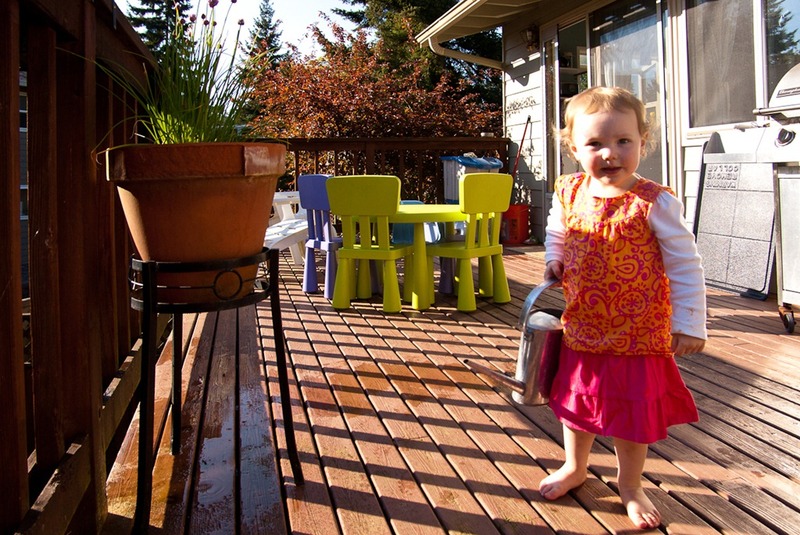 She is getting more skilled with the watering can, but we still only let her water the outside plants. The chives got watered at least seven times last night. They must have looked parched. We need to get more flower pots on the deck for her to water. 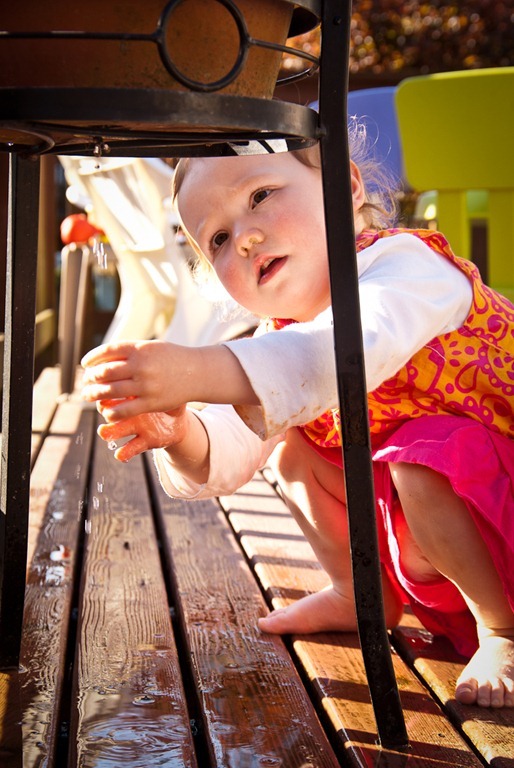 She also learned that water drains out of the bottom of the flower pot after a while. That was good fun.